"Developing leaders is more important than developing a strategy." Make sure you get our FREE papers, "The Five Diseases of Project Management"
Training doesn't work. If you want immediate results don't send your team to traditional training. Our facilitative approach to project leadership is what guarantee's extraordinary results. Imagine getting projects done in half the time, every time, on budget, without sacrificing content or increasing headcount. We provide your organization with a complete, customizable, leadership driven project management system designed for, high speed, high-stress, and high change environments. Each day you are expected to get more done without added resources. You face endless negotiations and conflict within your team and between suppliers and clients. Each new project is more unreasonable than the last. Emails mount up, phone calls go unanswered, meetings are endless, and leadership is failing. Whether you are managing a single project or a portfolio, Project Management is a skill set that allows your business to face uncertainty with confidence. It is the art of change and you are engulfed in change whether you are for-profit, not-for-profit, government, or education. 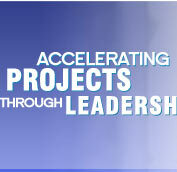 Our primary focus is infusing leadership into your project management methods. Project leadership is a relationship business. You and your company must get things done - lots of things, and the right things. You have invested heavily in production factors as well as human factors. But, are you getting the results you expected? Are you and your team getting the right things done with the least amount of effort and stress? Are your people working together to attain the highest possible output while supporting strategic objectives? We focus on helping you and your organization plan, do, and follow through on the work of projects. Getting things done faster, cheaper, better, while keeping the focus on greater profits. The greatest variable that contributes to project success or failure is the project team itself. Our belief the greatest improvement occurs through better leadership. 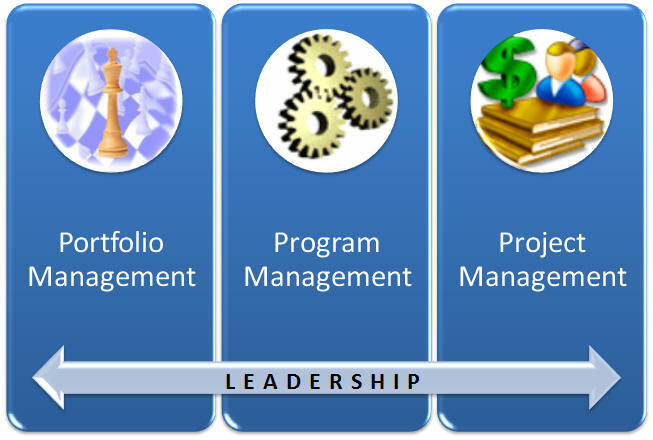 In addition to planning the work, our project leadership system includes methods for managing people and teams. Whether you're a CEO or an independent contractor we will help you focus your energy to prevent things from falling through the cracks. We will show you how to get results, manage information, and help others succeed, all while providing the flexibility to work the way you need. Through our seminars, coaching, and consulting you can finish projects on time, in half the time, without going over budget or compromising content. We consult with you on what to do, facilitate your progress on how to do it, and coach you while you do it. If you don't succeed, we don't get paid. Are you someone we can help? Click here to find out. Please browse this web site for detailed information on how your business can become more productive and more profitable.